The concept of webinar is based on one or two presenters giving something valuable to their attendees. It is usually carried out live, but it can be automated as well. The live streaming aspect of webinars has become very advanced nowadays. You can literally have hundreds to thousands of people watching you live on the webinar, and the two presenters need not be in the same physical space as well. So before we jump to the comparative analysis of Zoom vs GoToWebinar, we should first understand why the technology of webinars has grown so popular among online media promotion techniques. Webinars help to tell about new services by targeting a large audience, which is particularly useful for software companies. A speaker may discover more about the audience and improvise accordingly to deliver his presentation towards the visitors in a more suitable manner while holding the webinar. Scientifically proven, it’s the only marketing method online that holds people’s attention for an average of 45 minutes. Webinars tend to be very detailed. All that little features in your product that is super hard to explain and easy to miss — you can explain it easily in a webinar. Although not useful for e-commerce companies, SAAS (Software as a service) companies such as Cloud 9 Analytics, CVM Solutions, etc. and B2B business models with upmarket products tend to benefit from the visible advantages of high touch and long duration of webinars. In fact, these types of business platforms sell a robust and relatively expensive product more conveniently that requires proper explanation and crucial promotion. 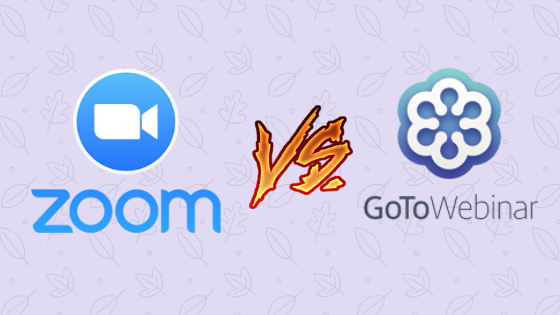 Now that we’ve understood the concept, let’s go through the briefs of both the softwares before we move on to the comparison of Zoom vs GoToWebinar. GoToWebinar has developed into a sole platform for businesses and sole proprietors with which they can create and deliver service of online and video conferences with their customers, colleagues, stockholders, and so on. The applications of GoToWebinar are innumerable. Termed as an excellent option for professionals and companies, GotoWebinar allows individuals to further extend their reach to their target audience, provide training through online and audio conferencing, and conduct speaker sessions without having to interact with them physically. With a simple and intuitive interface, GoToWebinar has been the at the top in self-service webinar application rank holders for many individuals and companies. Setting up is very easy and does not require IT support. As a matter of fact, the simplicity has helped companies and individuals generate high valuea and more qualified marketing leads at mere costs. Moreover, it is compatible with PC or Mac which makes it simple for participants to enter a webinar and not worry about system requirements. Zoom offers a full spectrum of conferencing tools to help users increase productivity and can be used at lower costs to save on the traveling expenses and equipment purchases. It features breakout sessions that enable you to split your viewers into smaller groups in scenarios of a training webinar or online class session. The cloud-based technology allows the organizer to exercise full control of the meeting such as muting all audios and controlling attendees’ presentation access. Attendees can virtually raise their hand during the session, allowing the leader to exercise greater authority over the collaborative classroom setting by ensuring everyone is getting a chance to share thoughts and opinions. In addition to this, Zoom also includes a chat utility that can be used to communicate effectively with the session instructor or with other attendees. 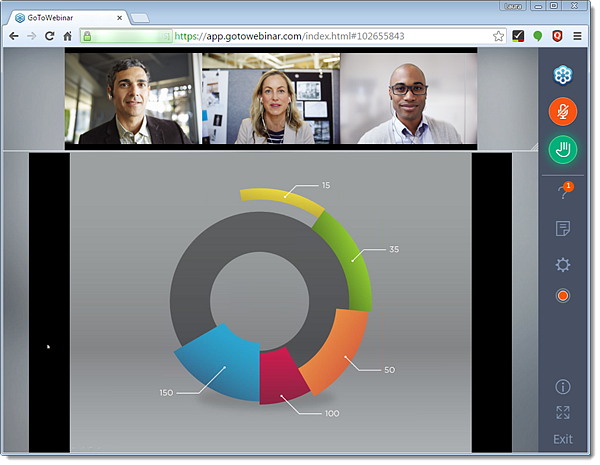 Now that we’ve briefed you about both the apps, let’s move on to the comparative analysis of Zoom vs GoToWebinar. If you’re carrying out a webinar on Zoom, you’ll need to install their software. This can be an excruciating process for people who are using this for the first time, because they’ll have to follow a number of steps to launch the software on their Linux-based, Mac, Windows or Ubuntu operating system. Meanwhile, a webinar on Gotowebinar can be done on a simple browser by visiting the URL when attending a webinar. The cost of using both webinar softwares is pretty much similar. The usual Zoom package costs around $39.99 per month which provides for up to 100 webinar attendees and another $15 on top of that to use the overall Zoom app. On the contrary, Webinarjam costs heavily in a range $100-$497 per month (which is roughly $2000 per year) giving it an obvious disadvantage in the terms of pricing. Webinars (also referred to as webcasts or web conferences) occupy a prime position among modern technologies for online promotion to engage your audience in a more life-like manner and convert them into buyers. In conclusion of Zoom vs gotowebinar, the key takeaways from this article is that Zoom Webinar has every feature that GoToWebinar offers, and is available at a much cheaper rate, making it the obvious choice. If your business requirement involves heavy use of webinars for marketing purposes, then there are other softwares in the market like WebEx and WebinarJam which can suit the purpose. 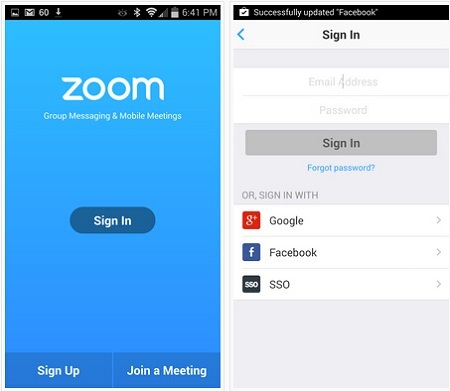 Similarly, if your software requirement involves frequent internal and external meetings, then Zoom is the best app available on the market. Hence, in culmination of Zoom vs gotowebinar, it is strongly recommended that people should try out both the apps first to see which one suit their business needs the most, and then decide to switch accordingly.